Patients may have some or most of the above symptoms, but may not be diagnosed for years! (T3) Triiodothyronine – is the active form of thyroid hormone. The thyroid gland produces about 20 % of T3, the rest is produced in various tissues in the body through the conversion of T4 when more T3 is needed. (T4) Thyroxine – is the inactive form produced exclusively by the thyroid gland. In today’s society, most people are only treated with synthetic T4, although both T4 and T3 are secreted by the human thyroid gland. Some studies suggest that replacement therapy with T4 alone does not ensure normal thyroid levels in all tissues. Hazle Compounding specializes in compounding Triiodothyronine (T3) in many different strengths, T3 can also be compounded in sustained release or immediate release forms and customized to each patient’s individual needs. The T3 capsules can be color coded. We also offer a unique T3 starter pack for patients who may be changing strengths as determined by their physician. T4 can also be compounded alone in many different strengths and can be sustained release or immediate release. 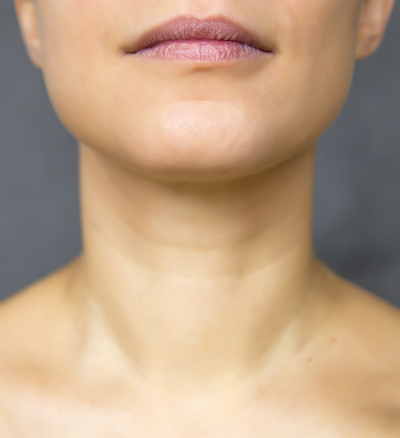 Some of the hypothyroid patients treated with T4 alone still remain symptomatic. A combination of T4 and T3 may be an option for some patients, to help them achieve optimal thyroid replacement. Hazle Compounding has been compounding unique strengths of T3/T4 in sustained release or immediate release in various ratios. Some compounded T3/T4 ratios can be similar to the Armour, Nature Thyroid ratios. Other t3/T4 combinations can be compounded in a customized physiological ratio specially formulated to meet each patient’s individual thyroid needs. Hazle Compounding also specializes in compounding Porcine Thyroid capsules. Porcine capsules have the T3/T4 ration that is the hallmark standard in T3/T4 treatment. Porcine capsules can be compounded in totally individualized strengths and can be compounded as IR (Immediate Release), SR (Sustained Release), gluten free, lactose free and dye free. We specialize in compounding thyroid with hypoallergenic ingredients. We compound dye free, lactose free and gluten free. We can also use vegetables capsules. Ask our compounding specialists for more information about this exciting therapy option for patients with low thyroid levels. Hazle Compounding specializes in meeting specific needs...the importance of individualized therapy and the Physician-Pharmacist-Patient Relationship in providing optimal thyroid hormone replacement therapy cannot be overemphasized. We will work together with patients and Integrated Medical providers, to develop a customized therapy plan that is best for each patient. All patients are counseled regarding the appropriate use of each medication, potential side effects, and signs that a dosage modification may be necessary. Click here to shop Hazle Health Vitamins for Thyroid Hormone Therapy!